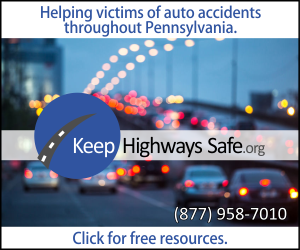 Wilkes Barre-Scranton, PA - Accident News and Resources including car, bicycle, motorcycle and truck accidents and much more. Founded in 1770, Wilkes Barre is a former coal town along the scenic Susquehanna River. It is an outdoor enthusiast's paradise for kayaking, whitewater rafting and hiking an extensive system of hiking/biking trails. Four state parks and numerous ski areas make this a popular destination. Scranton is at the center of the Lackawanna River Valley, located between the Pocono and Endless Mountains. Just ten miles from the city is Lackawanna State Park, where visitors are welcome to sail or ice skate across the 198-acre Lackawanna Lake. Nay Aug Park was designed by Frederick Law Olmsted, and includes a zoo, a museum, two Olympic sized swimming pools and a great gorge topped with a treehouse. To get up-to-date road information to help travel around Wilkes-Barre and Scranton, go to the Pennsylvania 511 site. And to find out current weather conditions, go to the National Weather Service site. Interstate 81 passes north–south near Wilkes-Barre, and the city is also located near the Northeast Extension of the Pennsylvania Turnpike and is about 10 miles north of Interstate 80. Public transportation is provided by the Luzerne County Transportation Authority. In addition to servicing the main arteries of the city, it provides transportation for the northern half of the county, as well as a connecting bus to Scranton via an interchange at Pittston with County of Lackawanna Transit System, the public transit authority of Lackawanna County. The main highways that serve Scranton are Interstate 81, which runs north to Binghamton, New York and Ontario and south to Harrisburg and Tennessee; Interstate 84, which runs east to Milford and New England; Interstate 380, which runs southeast to Mount Pocono and Interstate 80 east to New York City and west to San Francisco; Interstate 476/Pennsylvania Turnpike Northeast Extension, which runs south to Allentown and Philadelphia; U.S. Route 6, which runs east to Carbondale and parallel to I-84 to New England and west to Erie; and U.S. Route 11, which runs parallel to I-81. Scranton's providers of public transportation are the County of Lackawanna Transit System the Luzerne County Transportation Authority (LCTA), which mainly runs through The Minooka section (closest to Luzerne County) and Downtown Scranton by the steamtown mall. The Wilkes-Barre/Scranton International Airport is located in nearby Avoca. The airport is serviced by American Airlines, Delta, and United. Martz Trailways and Greyhound Lines provide coach bus transportation from its downtown station to New York City, Philadelphia and other points in the northeast. Private operators such as Posten Taxi and McCarthy Flowered Cabs service the Scranton area. They are hired by telephone through central dispatch and cannot be hailed on the street as in larger cities. If you are looking for information on a specific crash that happened in Wilkes-Barre and Scranton, go to the link above for the accident type you are seeking. When a loved one is killed in a motor-vehicle accident, it is often helpful for grieving family and friends to get help from a grief support organization. It can be comforting to talk with others going through a similar situation, and the road to recovering from the loss may go more smoothly. Go here to get information on Wilkes-Barre grief support and Scranton grief support. When injury or death is the result of a motor-vehicle crash, many decisions need to be made immediately and questions need to be answered. For example, how much of the medical costs will be covered by the insurance policy? How does PIP insurance help with medical bills immediately? What if the at-fault driver has no insurance? After a serious crash, it is crucial to get help from a Wilkes-Barre/Scranton injury attorney who understands the local regulations and legal standards, who knows how insurance policies work, and who can handle all aspects of an insurance claim so the injured person can focus on recovery. If someone is killed in a collision, a Wilkes-Barre/Scranton wrongful death attorney will launch a claim that will begin the process of financial recovery for the family members left behind. Learn more here about what a Wilkes-Barre/Scranton accident lawyer can do to help. Will I Have to Pay Tax on My Settlement? Should I Accept an Offer From the Insurance Company? 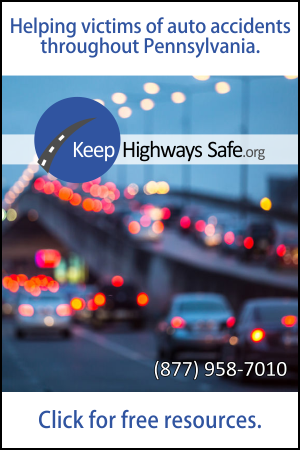 In 2017, the Pennsylvania Department of Transportation reported that 9,143 car accidents were attributed to a driver who was under the influence of alcohol. Of these accidents, 160 resulted in a fatality. However, like any other drivers, operators of tow trucks are prone to error — and mistakes when operating a tow truck can be deadly. ¿Qué necesitas saber sobre la responsabilidad por accidentes de U-Haul? El área de Filadelfia es el hogar de decenas de colegios y universidades. Desde Drexel, La Salle, la Universidad de Pensilvania y Temple ubicados dentro de la ciudad hasta Bryn Mawr, Villanova, Penn State Abington, Rutgers, West Chester y Widener ubicados en el área del gran valle de Delaware. Desafortunadamente, los accidentes en hoteles son muy comunes, especialmente en una ciudad grande como Filadelfia. State Farm’s adjusters and attorneys don’t work for you. Their job is not to help you get you the compensation that you deserve for your injuries, but to minimize your claims to protect the company’s bottom line. As a Philadelphia car accident attorney can explain, the relatively low limits of PIP mean that in many cases, it is insufficient to cover the full amount of your damages. While PIP plays an important role in the Pennsylvania personal injury system, it is far from complete coverage. The winter does present some unique challenges when it comes to playground safety. Unlike in summer months, when the potential dangers of a playground are readily apparent, the risks of playing outside in the cold weather are often hidden. As demonstrated by these statistics, winter weather conditions are responsible for a high number of car accidents, injuries and fatalities each year. Delivery trucks can create hazardous road conditions for the cars they share the road with. Delivery drivers often have to park precariously and pull out onto busy streets when they deliver packages. A charter bus that was taking Italian tourists to Niagara Falls was traveling on Interstate 380 after departing from the New York metro area when the bus collided with a tractor-trailer. Investigators believe that shortly after 10:00 a.m., a semi-truck was headed south on I-380 when it for some reason careened across the median into the northbound lanes and hit a bus head-on.